Beautiful and Bright, FURNISHED Spanish 2 bedroom/2 bathroom Home in Larchmont Village neighborhood available for lease. Prime location on a quiet and tree lined street. Living Room with Batchelder tile fireplace, Den, Dining Area with patio access, Office Nook, Large Kitchen, Master Bedroom with pitched ceiling and En Suite Bath, 2nd Bedroom with plantation shutters, Hallway Bath. Large Outdoor Patio and Yard with fruit trees. Hardwood Floors throughout, Central AC and Heat, Master Bath with jetted tub, filtered water system. 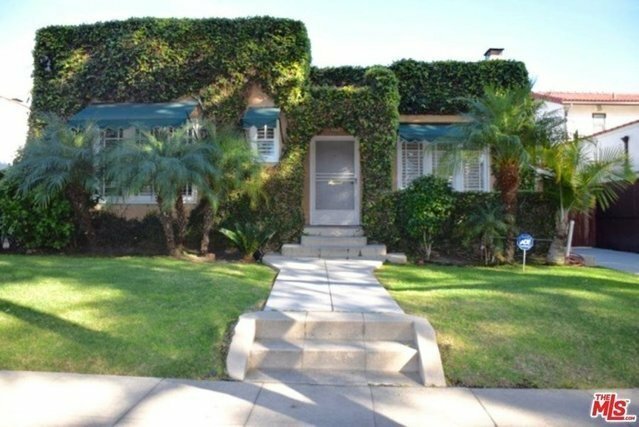 Walking distance to Larchmont Village, Paramount Studios and close proximity to Melrose, Beverly Hills, West Hollywood, DTLA. Rent includes security alarm, gardener, utilities, 1x monthly cleaning, Satellite and Apple TV, Highspeed Wifi. Available Mid-May. Term negotiable. Prefer minimum 2 month lease.